What is Tinnitus and How Can You Treat It? A whopping four in ten adults experience tinnitus 80% of the time during the day, which can be debilitating and annoying. Many Americans suffer from tinnitus without ever knowing that their problem has a name and different methods of treatment available. A whopping four in ten adults experience tinnitus 80% of the time during the day, which can be debilitating and annoying. 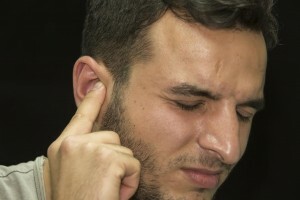 Read on to learn more about tinnitus and how you can alleviate your symptoms. Tinnitus is hearing any sound that has no external source. Tinnitus can describe anything from hearing a ringing in the ears, humming, buzzing, or even cricket-like noises with no explanation. Many sufferers of tinnitus have sounds that change from ear to ear, change in pitch, or that change “sounds” altogether. Before you worry that something is wrong, realize that having tinnitus does not mean you are hearing “phantom sounds.” Instead, there is neural activity in your brain that is telling you that you are hearing noises that are not there. This entry was posted on Friday, January 13th, 2017 at 10:38 am. Both comments and pings are currently closed.